The great thing about having a six week break in between semesters is that I get to sit around my house and do nothing except read and watch movies or tv for pleasure. The bad thing is that I always end up loving some tv show that I didn’t before and then end up following it during the semester which means I’ll end up spending more time watching tv than doing my schoolwork. This break I’ve already watched every episode of How I Met Your Mother and most of The Sopranos. 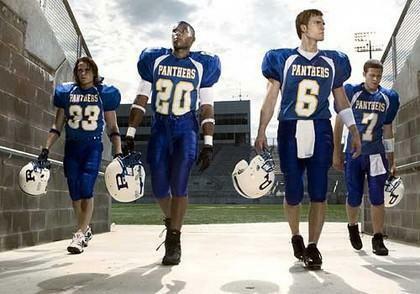 But in the past three-four days I’ve become completely obsessed with Friday Night Lights. It’s one of the only good things NBC has going for it right now. So the NBC execs should really stop screwing over this amazing show and figure out a way for a larger audience to watch FNL. Seriously, how can people not love this show? I hope 2009 will be a year plenty of good things for you and your family.